Take the biscuits and crush them in a plastic bag using a rolling pin. Then heat about 25g of butter in a pan and once it is melted add the biscuits remembering to take off the heat. 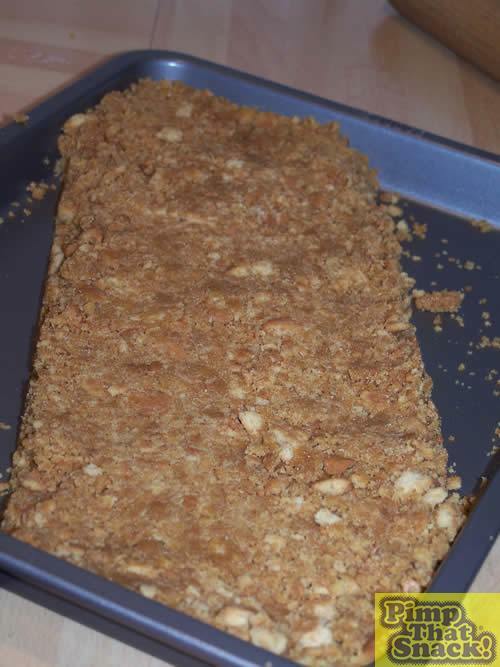 If it is not all stucked together just add a couple of table spoon of golden syrup. Yep..You’re doing well. 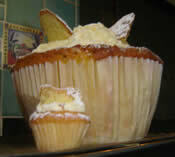 Now smush them onto a baking tray with a spoon and put into the fridge of freezer if you want it done super fast! 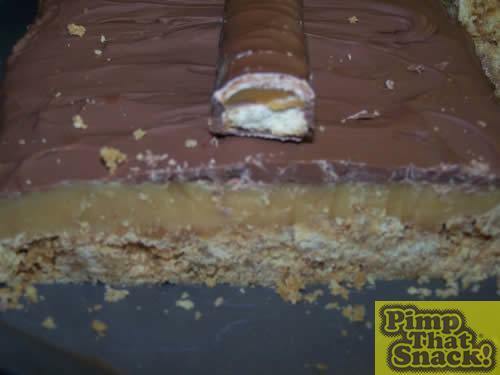 Okies Now you have to make the gloopy/caramel bit in the middle. 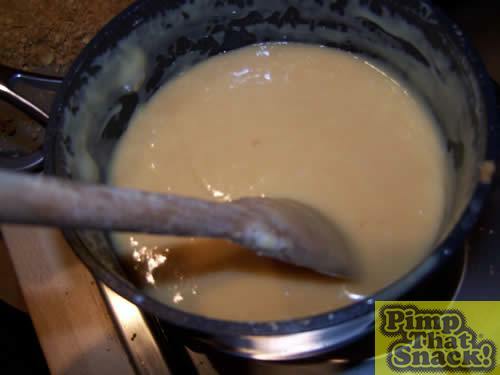 Melt 100g of butter, 100g of sugar two table spoons of golden syrup and a whole large can of condense milk in to a pan. Bring it to the boil stirring occasionally. Then once is boiled stir constantly for 5 mins until it a thicker and darker in colour. Be careful not to burn it now as this taste absolutely disgusting! 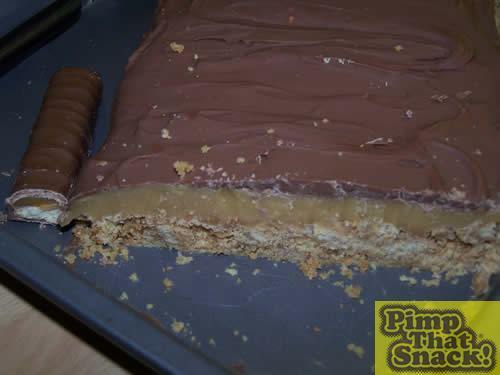 Right now you have to pour the caramel stuff onto the biscuit bit making sure the biscuit is hard before starting. 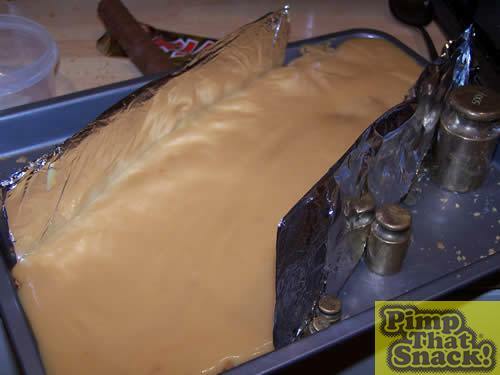 You need to make foil sides to stop the caramel going over the side…see picture below! Then replace into fridge for an hour. Last bit. CHOCOLATE Pour a small amount of boiling water into a pan and put a glass bowl over it. 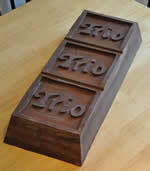 Then brake the chocolate bar up in to small piece and but in to the bowl. 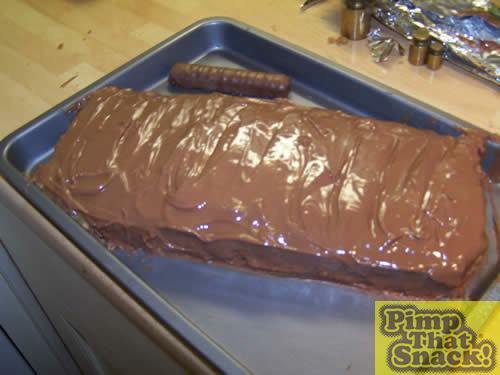 Once the chocolate is melted pour over the Twix and voila there you have a GIANT TWIX wooooo!